Posted by Parabola Developments on Jan 1, 2018. It may not feel like it now, but deck season will be back before you know it! If you’re planning a new deck build this spring or summer, check out a couple of Parabola Developments’ deck trends and ideas to get your creative juices flowing. 1. Two-Toned Designs Many homeowners are using more than just one color of a board for their deck. 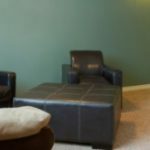 Two-toned designs are a great way to feature a space and create visual interest. You can add borders, designs or frame certain areas of your deck, like th...Read More Here! Posted by Parabola Developments on Dec 2, 2017. It’s impossible to put a price on homeowner happiness - that said, it's truly is difficult to give a general cost that encompasses all basement renovations.A more complicated plan - one that turns a cement-walled, spider web-covered space into a carpeted and wood-paneled home office - will obviously cost more than a simple job that consists of adding a single wall to divide an already finished space. It’s all about what you want, while at the same time sticking to your set budget paramet...Read More Here! Posted by Parabola Developments on Dec 1, 2017. Finding the perfect flooring for your home is no small task. With so many different formats and styles to choose from, it’s hard to know if you’re making the right decision. 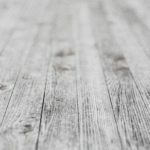 Things like durability, cost, and practicality are just some of the important factors to keep in mind to make sure you’re getting the right flooring for the job. Join Parabola Developments as we highlight some of the most popular flooring options and their pros and cons so you can make sure you’re choosing the right ...Read More Here! Posted by Parabola Developments on Nov 3, 2017. 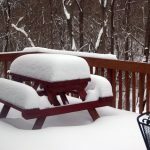 Winter in this part of the world means your deck will not see as much use in the coming months. Make patio upkeep a regular part of your seasonal routine, you don’t want ice and snow to ruin your outdoor space. Take in the garden hose, rake up the leaves... and maintain your deck! Repairs are much more costly than simply investing some effort in preparing for winter. Keep reading for winter deck care tips from the experts here at Parabola Developments. #1: Use the right tool for the job. Whi...Read More Here! Posted by Parabola Developments on Oct 1, 2017. When renovating kitchens or bathrooms, your attention will eventually be drawn to the sink. These days dens, garages and even mud rooms are commonly outfitted with sinks as well-- each customized to its intended purpose. When selecting a new sink, you will inevitably come to the decision between a single bowl sink or a sink with one or more partitions. Spacious master baths or powder rooms may feature twin sinks and vanities as touch of luxury. 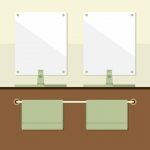 Is a dual or twinned sink right for you? Consult Pa...Read More Here!